War and peace intersect with diplomacy. 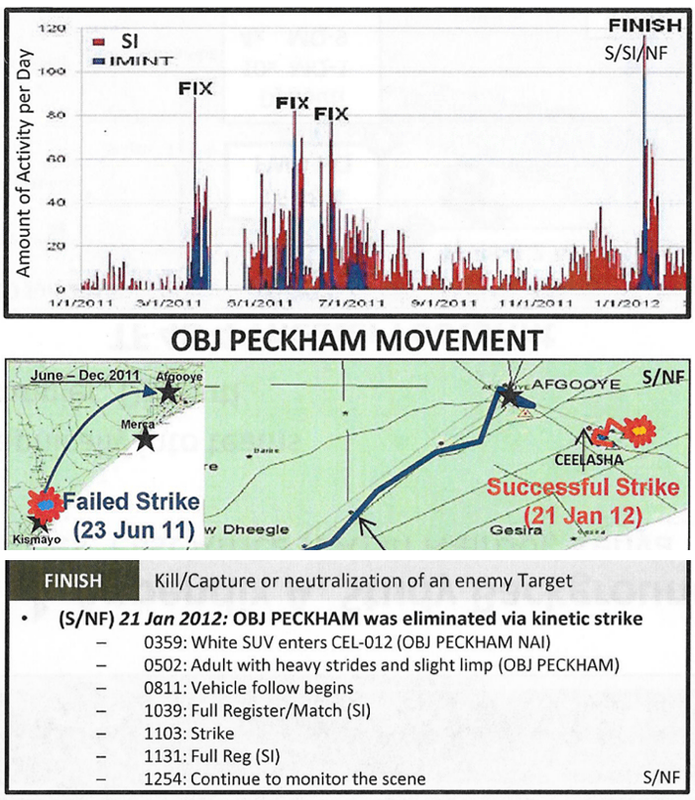 Snowden and Ellsberg hail leak of drone documents from new whistleblower as the shattering story of how our anti-Muslim wars of aggression are waged overseas. There are a number of elements of this ugly butchery which astonishes me. One is the artwork: it looks like it was done by alien ant-creatures. It makes the skin crawl. Oddly done computer maps and weird text styles give me the shivers. It reminds me of the Nazi documents that were ‘odd’ looking, too. I have a German book of schizophrenic artwork done in hospitals there and this artwork looks quite similar. I don’t think the artists are insane (or perhaps are!) but rather, they distance themselves from the facts they are painting so coldly. The CIA attempt to overthrow Assad of Syria, the one ruler Israel fears the most, has begun to unravel as Russia has now stepped in to stop the al Qaeda/ISIS operation cooked up by the Zionists. Syria lies in ruins now but is beginning to see some sanity again, for the operatives hired by the US (and obvious others!) has shown themselves to be exactly like the people we are supposed to be fighting because ‘They hate America and freedom.’ This confusing situation is actually rather hilarious except for all the innocent dead people, the bystanders who are being destroyed. Therefore, this entire business is a crime against humanity. 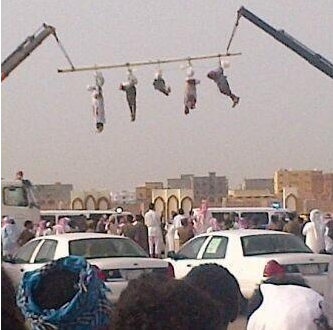 ExecutedToday.com » Saudi Arabia in 2014. US And EU Freak Out Over Million+ Muslim Invasion So They Attack Assad! Had to go to the hospital again but now everything is OK except for dislocated shoulder and hurt ribs. Ouch. So I am on pain killers which is very annoying. Today I can type again…sort of. I did too much firewood splitting and stacking this last week thinking I was healthy enough. Some dear friends came over to help out and they told me after the hospital visit, I was not to do any more work this month. Thanks to everyone. Ali Mohammed al-Nimr faces execution in Saudi Arabia for taking part in protest | Daily Mail Online: yes, our darling allies are going to execute a very young man for a peaceful demonstration against the monsters who rule Saudi Arabia with an iron fist and which is one of the nastiest dictatorships on earth, NO ONE beats them when it comes to being really obnoxious. The US has decided to not protest all this and has also decided to let Saudi Arabia investigate itself for crimes against humanity. This is after some in the UN tried to curb Saudi cruelty. Turns out I was right about the Texas briefcase ‘bomb’ boy. His teachers now came out of the closet and are telling about how he caused this sort of trouble in the past. Conned again, isn’t this unusual…not. Trump tells the truth…again…this time about Syria which has enraged the Zionist media giants and the toads in Congress of both parties. And France accuses Assad of Syria of ‘war crimes’ unlike NATO which…has committed so many war crimes, we need to reopen the Nüremberg war trials.